The sun is setting earlier, the school year is upon us, and it is time to mourn not just the end of French bathing suit season, but -- perhaps -- the end of a French bathing suit itself. The Manokini's monopoly -- the Manokiniopoly? -- may indeed be over at the beach. But, of course, the caleçon, a.k.a. 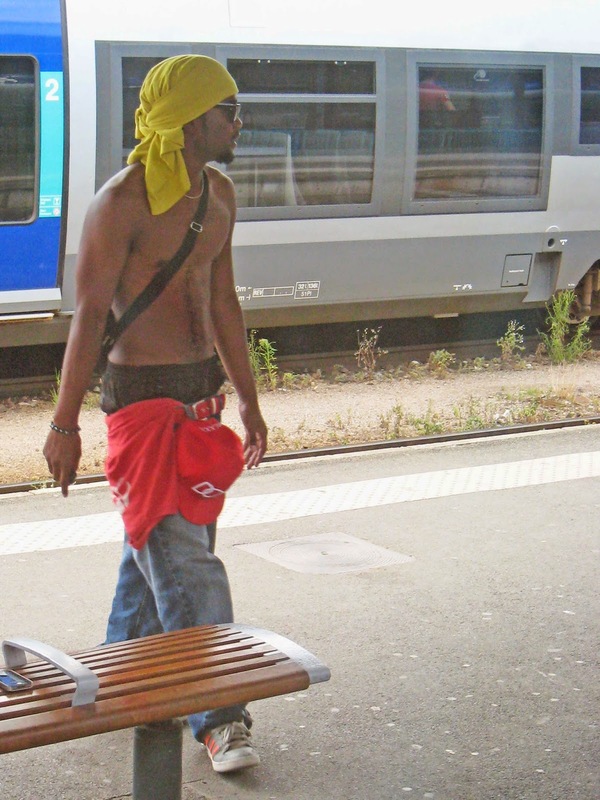 briefs-style suit, is de rigeur and still the only legal option at all public pools, bien sûr. These particular board shorts look extra American. All of these shots are, indeed, taken on French beaches (Bretagne and the Vendée to be specific). But if you feel like hanging out on a beach in France with a man in an Ouch Pouch is the only way to really feel like you're in Europe, you're still in luck...for now. While board shorts may not be only for the young, it does seem that the Pickle Pincher is only for the older generations. Will people start wearing their pants with the crotch down by the knees next? Uh-oh....too late. 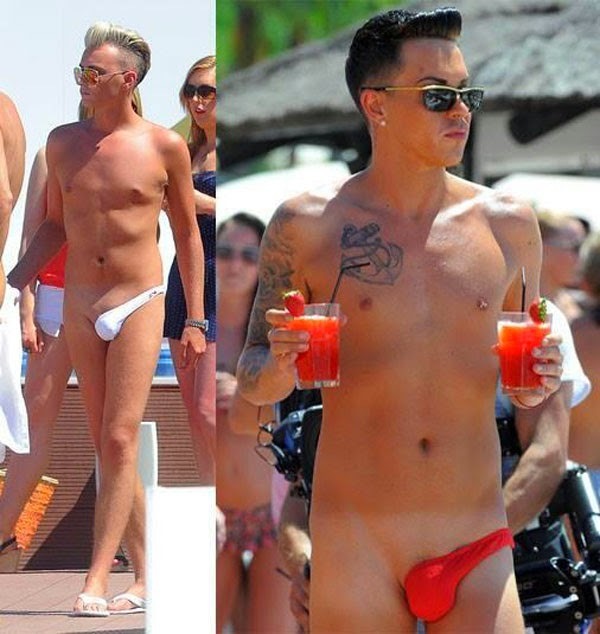 Or, at the other extreme, will this new German invention, called a G-string for men, hit the French beaches? Oh Lord, I hope not. Tomme du Bonhomme sounds like it would be named after a "good man" (literally a "bon homme") or at least a "fellow" (the more common translation of "bonhomme"), but in fact, it's named after a place: Le Bonhomme, which is a commune in the department of Haut-Rhin, in the region of Alsace. The town's male residents are called Bonhommiens (as opposed to simply Bonhomme from Bonhomme) and the females are called Bonhommiennes, which pretty much defies any attempt at translation and just goes to show how crazy the French language is when it comes to gender. The cheese is made from cows' milk that is raw, but nevertheless still cooked (just not pasteurized). As you can see, the cheese is not just perfumed but filled with thyme leaves. It's a nice cheese, but not super exciting. Even with the thyme in it, it has a mild flavor and a somewhat rubbery texture. Well, a Tomme du Bonhomme could be translated as a "Fellow's Big Wheel". And since this posting is about gentlemen's bathing suit choices that show off the wheels, big or small, to differing degrees, I figure this is the cheese. As the town is located in Alsace and has many times belonged to Germany/Prussia, it has a German name also -- Diedolshausen -- which sounds like yet another euphemism for a skimpy men's bathing suit that's "hausen" the "diedol". Laughed out loud from this one, although I'm strangely not hungry now.